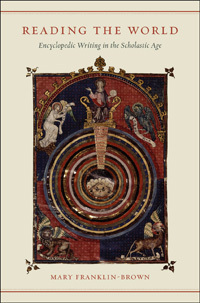 After being relatively neglected for several decades, Peter Comestor has once again entered the historical limelight with Agneta Sylwan's recent edition of the book of Genesis from his Historia scholastica (Brepols, 2004). 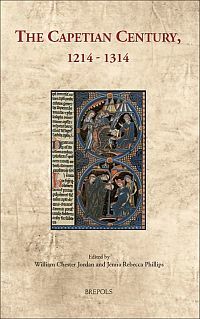 Edited by Gilbert Dahan, this volume of essays, authored by leading experts in the fields of twelfth and thirteenth century intellectual history and theology, reaffirms the influence of Peter Comestor in the development of scholastic, pastoral and exegetical thought and points to emerging areas of research on Comestor's life and many works. The collection is an impressive one. I could find no major flaws in the authors' contributions and their conclusions reaffirmed rather than contradicted each other. Dahan's introduction to the volume and David Luscombe's formidable survey of Peter's career and influence should prove particularly useful to non-specialists looking for an introduction to the subject. 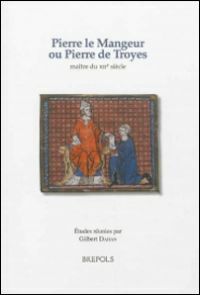 Pierre Gandil's article makes a valuable contribution in elucidating Comestor's active collaboration in the reform of his cathedral chapter as dean of Saint-Pierre in Troyes (a regional power center for the counts of Champagne and writers associated with their court). Like many other scholars and students, Comestor later moved to the schools of Paris in the second half of the twelfth century, becoming a master and head of the cathedral school of Notre-Dame. As Gilbert Dahan, Emmanuel Bain, Ari Geiger and David Luscombe note, Peter's career illustrates the gradual but decisive shift of the training of secular clergy from cathedral schools and regional centers to a cluster of schools in Paris which shared, with the Benedictines, Victorines and Cistercians, a focus on biblical exegesis as central to the formation of spiritual life and theological and pastoral training. Comestor's retirement to the abbey of Saint-Victor reflected his attraction to the literal-historical exegesis of the Bible under authors such as Hugh (c. 1090-1141) and Andrew of Saint Victor (c. 1175). 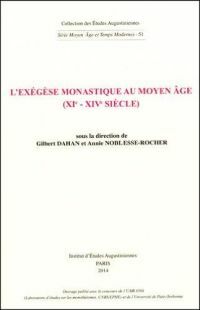 All three men actively drew on the glossa ordinaria (the evolving product of schools at Laon and Auxerre) and contemporary Jewish exegesis (experiencing a revival at Troyes under Rashi or Solomon of Troyes) for their scriptural commentaries. Both the glossa and Comestor's Historia scholastica would become the standard texts for biblical exegesis throughout the Middle Ages. Although he shared the Victorines' stress on the literal meaning and geographical and historical context of the scriptures, Comestor's commentary on the gospels became a major influence on the biblical-moral school of Peter the Chanter and other masters in Paris who sought to extend the commentary tradition from the Psalms and Pauline epistles to all books of the Bible with the additional inclusion of spiritual and moral interpretations which both they and Comestor deemed essential for the formation of future clergymen. 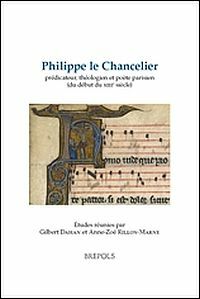 Moralists from the Chanter's school would dominate the production of practical theological and pastoral materials in Paris during the later twelfth and early thirteenth centuries. Comestor shared their preoccupation with pastoral matters. His treatise on the sacraments (a condensation of the Lombard's Sentences) represents an early example of the pastoralia produced before and directly after the Fourth Lateran Council (1215). For both Comestor and the Chanter's school, biblical commentaries were also meant to equip future clergymen for one of their central functions - preaching. Franco Morenzoni's article demonstrates that Comestor preached in multiple capacities and apparently supervised the collection of at least some of his own sermons (over one hundred survive, catalogued by Marie-Madeleine Lebreton and Johannes Baptist Schneyer). Comestor's surviving sermons not only illustrate the way in which lectiones on the Bible were utilized in preaching but show tell-tale signs of the gradual transformation of the older homily form to the sermo modernus, which extrapolated a biblical theme (verse) through the use of various kinds of divisions often based on the various scriptural senses (literal, allegorical, moral, and anagogical). As Mark J. Clark illustrates, Stephen Langton worked with Comestor in producing the later versions of his Historia scholastica and went on to teach and produce a commentary on it before generating his own formidable collection of scriptural commentaries. Langton's teaching activity ensured that the Historia would become the essential text for biblical studies in Paris much as Comestor himself ensured that Peter Lombard's Sentences would become crucial for theological disputations. Yet as Sophie Delmas notes, Comestor's interest in the history, geography and archaeology of Palestine appears to have died with him and commentaries on his history waned after an initial burst of them in the late twelfth and early thirteenth century. This was partly due to changes in the study of theology from the mid-thirteenth century onwards, which shifted from the Bible-based lectio to quaestiones and disputationes with the advent of the Lombard's Sentences and newly translated Aristotelian philosophical texts. However, Comestor's history would become a crucial teaching text for several generations of masters (including Langton and Hugh of Saint-Cher), and it was considered part of the core curriculum in Paris and mendicant studia throughout the thirteenth century. Essays by Guy Lobrichon, Xavier-Laurent Salvador and Annie Noblesse-Rocher prove that its influence also extended far beyond scholarly circles. A true medieval bestseller, it became one of the most copied, printed, and read books well into the sixteenth century and beyond, both in Latin and vernacular versions and in verse adaptations (such as Peter Riga's Aurora). 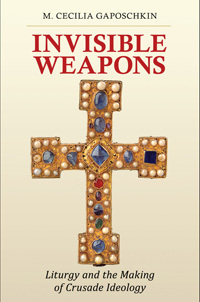 It influenced mirrors for princes and encyclopedias intended for lay education and some of the earliest moralized and illustrated bibles (including the Bible historiale of Guyart des Moulins). Popular among adherents of the devotio moderna, the history's influence appears to have waned only when early modern exegetes acquired a direct knowledge of Hebrew and biblical and world history through the increased availability of ancient authors. Ironically, as Claire Angotti, Francesco Siri, and other authors in the volume argue, Comestor's own teaching career and oeuvre show traces of the gradual divorce of teaching of theological doctrine from the traditional explication of the biblical text through lectio to the disputation of thorny theological questions which would become a separate theological exercise by the end of the twelfth century. Although originally complicated questions which arose during the lectio were reserved for separate debates (disputationes), by the thirteenth century these debates (rather than the lectio) had become the locus for teaching of theology. This process relied on the contemporary penchant for collecting authoritative patristic or contemporary texts into compilations organized by theme, which then were used to raise and resolve questions. Two of these collections would become the basis for the study of theology and canon law: Peter Lombard's Sentences (c. 1158) and Gratian's Decretum. A pupil of Peter Lombard, Peter Comestor appears to have been one of the first to use the Sentences as the basis for teaching theology. A pioneer of the field of disputation at Paris, Comestor was personally responsible for diffusing Lombard's work. He also glossed it and used it in debating quaestiones, facilitating access to and comprehension of it by members of the schools. Some of the quaestiones traditionally attributed to Odo of Soissons (Comestor's predecessor as head of the cathedral school at Notre-Dame) may perhaps belong to Comestor, and reports from audience-members at disputations organized by Comestor survive as well. It is easy to forget that the Lombard's Sentences were not necessarily destined to become a key university text. Comestor and his students ensured that the Historia and Sentences become central to the study of the Bible and theology in Paris. In addition to the valuable new material and syntheses presented in this volume, the lists of the known manuscripts of Peter's works (347-48) and early printed editions of the Historia scholastica (343-44) are particularly valuable. So too are the contributors' rejection as spurious of works previously attributed to Comestor. These include the Liber Pancrisis (157-58), and a commentary on the Pauline epistles. They have also suggested fascinating new avenues for research. These include studying prologue and marginal material in extant copies of the Historia scholastica, investigating unpublished collections of quaestiones to identify those potentially attributable to Comestor (221-23), the need for further study of his many surviving sermons (225) and the potential existence of a surviving commentary on the Psalms (50). This essay collection should be the first port of call for those wishing to avail themselves of recent research on Peter Comestor and the intellectual world of the schools in the twelfth and thirteenth centuries. 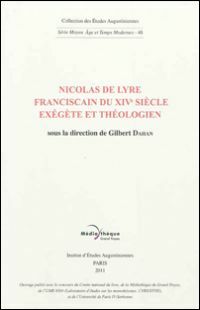 Its many authors firmly establish him as crucial figure in creation and practice of the lectio, disputatio and predication which characterized the education of future clergy in Paris throughout the twelfth and thirteenth centuries.